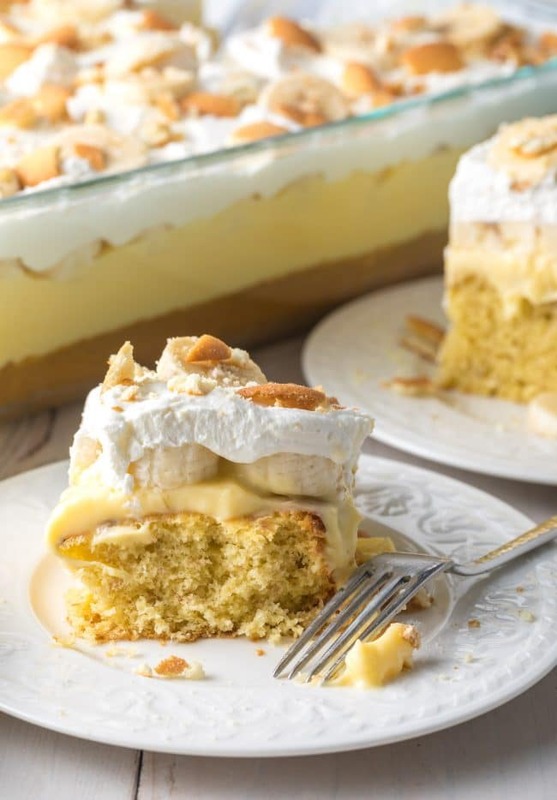 Layered Banana Pudding Cake: This ultra moist banana cake recipe is topped with creamy pudding, fresh bananas, whipped cream, and vanilla wafers. 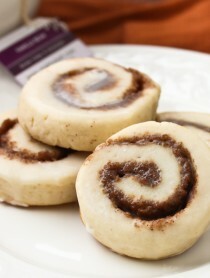 It’s easy to make, and packed with southern charm! 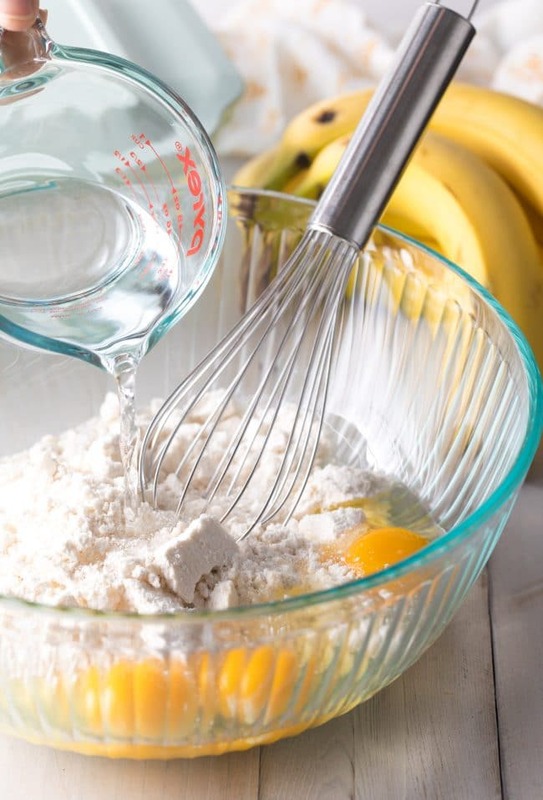 Bananas and Baking are a perfect pair. Ripe mashed bananas do wonders for the flavor and texture of cakes, sweet-breads, and even cookies! 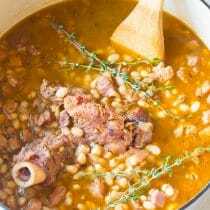 They add additional moisture, without watering-down the batter, and their natural sweetness complements other flavors instead of overpowering them. In some cases, you can even use bananas as a butter and sugar substitute for healthier baked goods. 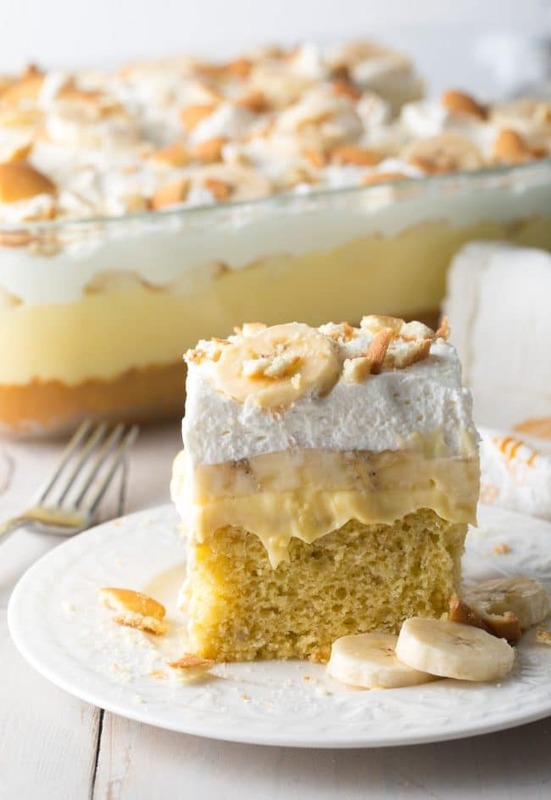 Although it’s great to use bananas as a baking-enhancer, I often prefer bananas as the star of the show… Like in today’s Layered Banana Pudding Cake! 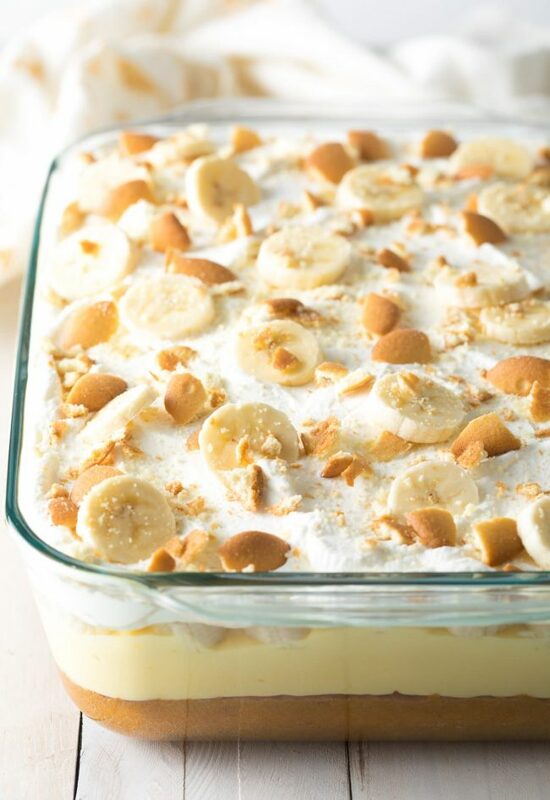 Traditional southern banana pudding is a classic American treat that is hard to resist. Layering pudding with fresh bananas and vanilla wafers gives it diversity in texture and flavor. However, I like my banana pudding with a bit more of a base. Here I’m using classic banana pudding elements on top of a tender banana cake, to create a tall, layered treat that is fabulous for any occasion. 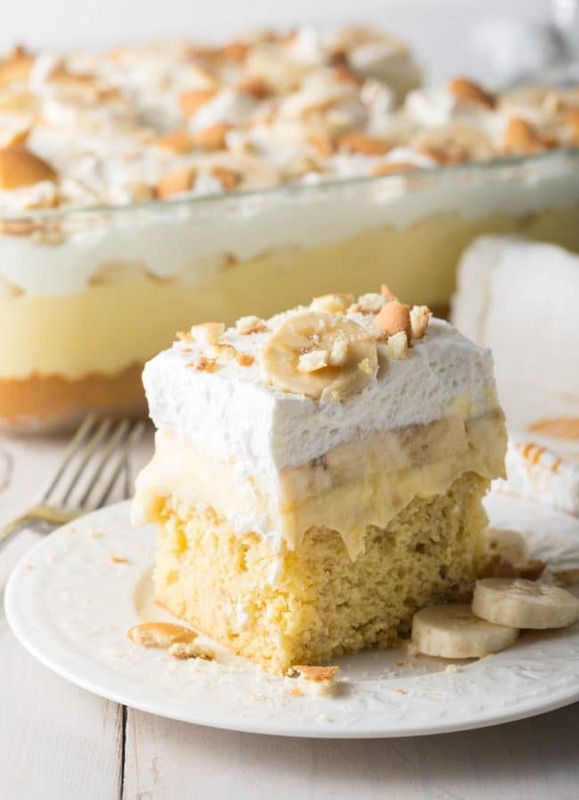 This Layered Banana Pudding Cake is perfect for Easter and spring events, because it’s light and pillowy, looks gorgeous in its pan for potlucks, and slices into dreamy layers of heavenly bliss! Banana Cake on the bottom, made with a simple yellow cake mix and fresh ripe smashed bananas. Vanilla Pudding on top of the cake. Although one would think you would use banana flavored pudding in a “Banana Pudding Recipe” I find the fake banana flavor to be off-putting and overpowering. 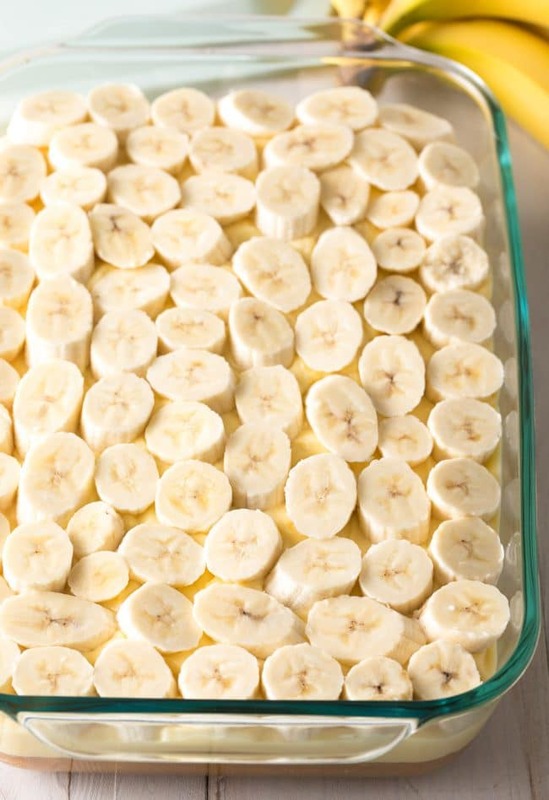 Use vanilla pudding and real bananas to create a much fresher taste. Bananas on top of the pudding. A generous layer of ripe bananas offers a pop of fresh flavor to the layer cake. Whipped Cream on top of the bananas. You can use Cool Whip if you prefer, but I think homemade whipped cream is best. 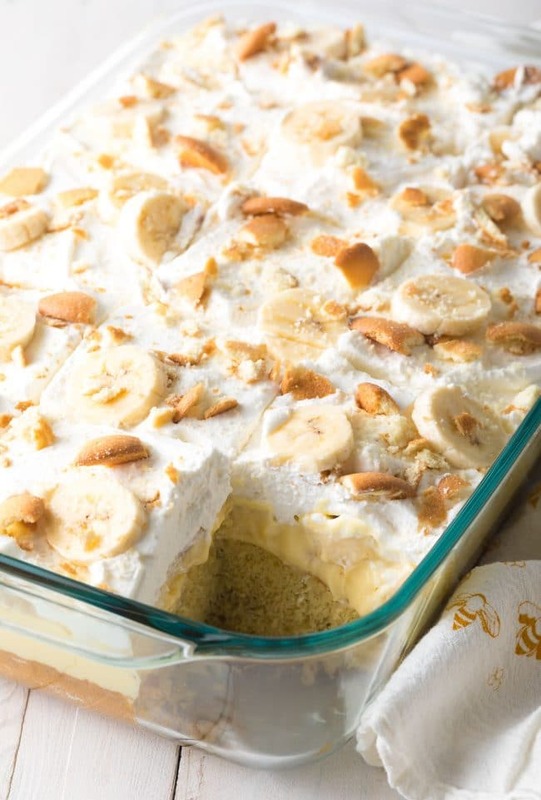 Completely cover the bananas with whipped cream to keep them from browning. 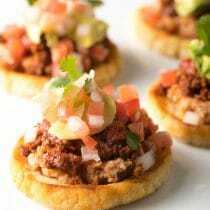 Although you can use a standard 9X13 inch (3-quart) baking dish for this recipe, the top layer will tower over the dish. This makes it a little difficult to cover without ruining the top. 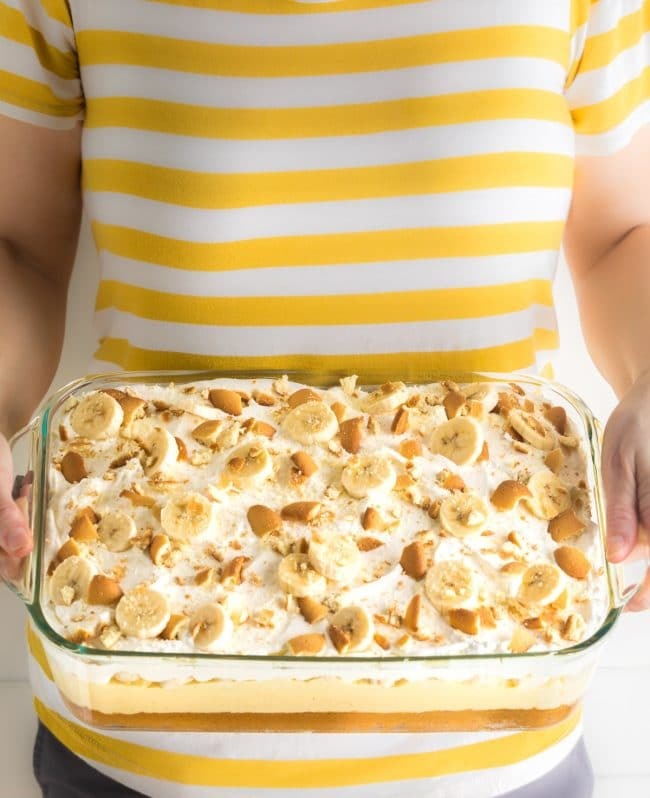 My preferred baking vessel for this Layered Banana Pudding Cake is a new 9X13X3 inch Pyrex Deep baking dish… Which holds 5 quarts and comes with an airtight lid. 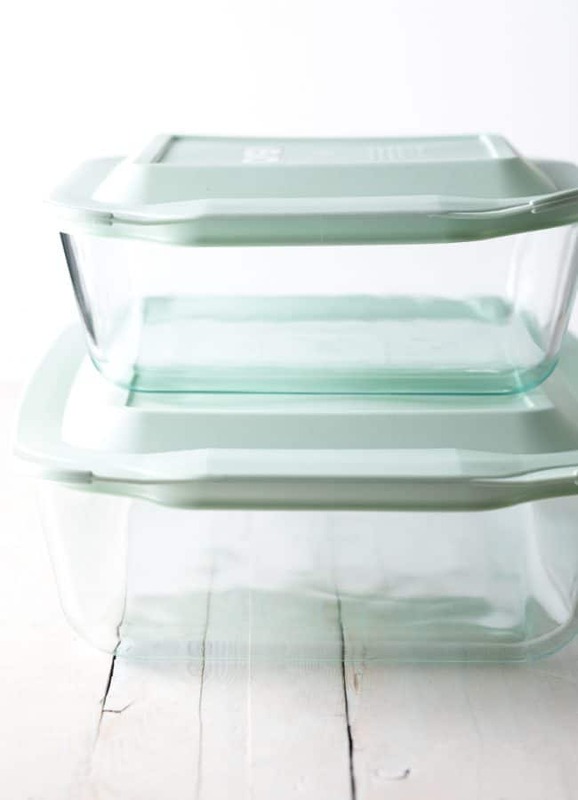 Pyrex Deep baking dishes allow you to create, layer, and bake deeper than ever before! 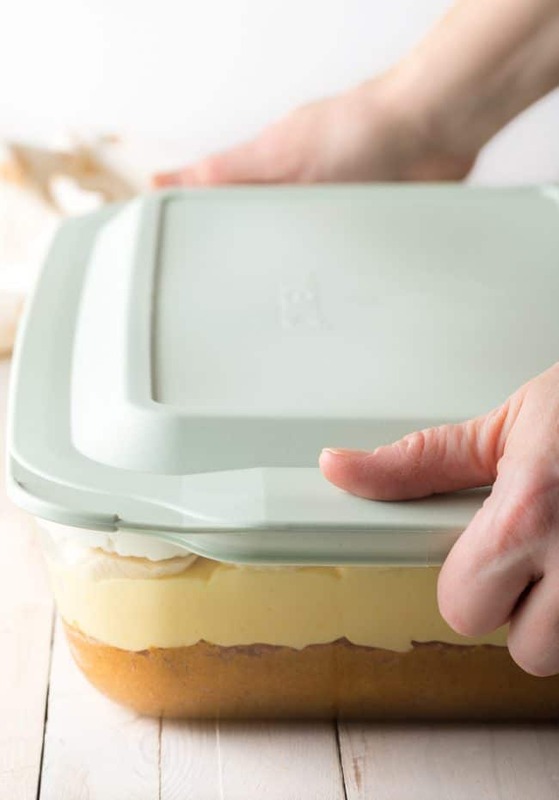 Pyrex Deep dishes hold 50% more than standard baking dishes, so you can pour large layer-cake recipes into a single dish, without worrying about spillage in the oven. You can also use the 9X13 inch dish as a roasting pan for poultry and large beef roasts. With our pudding cake recipe, I love that all four layers just come to the rim of this incredibly deep pan, so that I can sprinkle on toppings and cover it, knowing my toppings will still look pretty when I take the lid off. That makes Pyrex Deep the perfect potluck dish! Pyrex Deep Dishes come in three sizes… 9X13 inch, 8X8 inch, and 7X11 inch and are available at Walmart. To make them even more versatile, each is sold with that handy lid for easy transport. If you are in need of new bakeware, Pyrex Deep is the way to go. You can easily fit all your classic casseroles and sheet cakes in these dishes without concern. And when you’re feeling creative in the kitchen, you can stack them and stuff them higher than ever before! Cool completely. I see you, impatient bakers. I know what you’re thinking… The cake just barely feels warm. I bet it will be alright if I add the pudding now. Ok guys, recipes state “cool completely” for a reason, not just to annoy you. If you add the pudding too early, the heat will cause it to loosen and seep into your perfectly fluffy cake. Although the cake will still taste good, you may lose your pudding layer altogether. Go read a book, surf the web, or take a nap… Whatever is necessary to let your cake cool completely before layering. Our Banana Pudding Cake is a wonderful make-ahead! You can make this cake up to a week in advance. Cover it with the airtight lid and refrigerate. If you want to decorate the top with fresh bananas, just leave them off until right before serving. Have leftover cake? Yes, you can freeze it for up to 6 months! Just be sure to thaw the banana cake at room temperature before you are ready to serve it. Change up the toppings! If you are feeling adventurous, try sprinkling toffee bits or chocolate chips over the top. Fresh berries are a good option as well. I’ve even added 1 teaspoon cinnamon and/or 1 teaspoon coffee grounds to this cake batter to mix things up! Want to slice it like a pro? You can create beautiful even slices, with all the layers showing, if you A) use a large serrated knife (like a bread knife), B) saw the cake in a short gentle motion, and C) wipe the knife off with a wet paper towel in between slices. 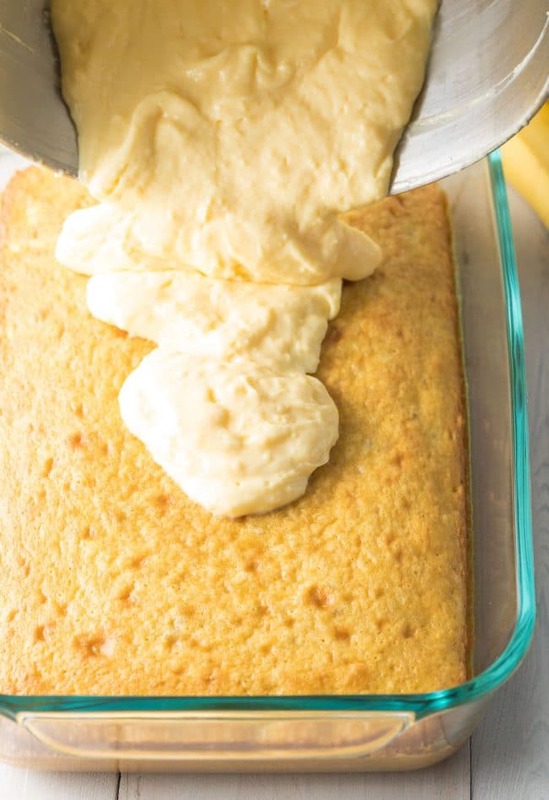 This ultra moist banana cake recipe is topped with layers of creamy pudding, fresh bananas, whipped cream, and vanilla wafers. It’s easy to make, and packed with southern charm! For the cake: Preheat the oven to 350 degrees F. Grease only the bottom of a Pyrex 9X13 inch Deep Baking Dish. Set out a large mixing bowl. Pour the cake mix into the bowl. Add the mashed bananas, eggs, oil, and water. Whisk well until the mixture is mostly smooth, with just small chunks of banana left. Pour the cake batter into the Pyrex dish. Bake undisturbed for 30 minutes. Check the cake by inserting a toothpick into the center. If it comes out clean, the cake is perfect. Cool the cake completely before layering the top. Once the cake is cool, spread the pudding over the top in an even layer. Cover the top of the pudding with banana slices. Spread the whipped cream over the bananas, making sure to cover them completely. Then sprinkle the top with crushed vanilla wafers. Cover the dish and refrigerate until ready to serve. If you plan to serve the cake within the next 30 minutes, you can decorate the top with fresh banana slices as well! However, if you are making this cake ahead of time, either add the banana slices right before serving or skip the bananas on top altogether. Disclosure: This post is brought to you be Pyrex. All content, ideas, and words are my own. Thanks for supporting the sponsors that allow me to create new and special content like this for A Spicy Perspective. This is one of my favorites for Spring and Summer! So yummy! We love this cake at my house! Sometimes I make the vanilla pudding from scratch and then it is even better. Such a tasty dessert! One of our favorite desserts! The best of both worlds! 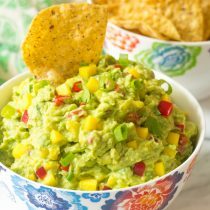 Such and easy and delicious recipe. Reminds me of my childhood too! This cake was so easy to make & everyone loved it! It will definitely be my new go to dessert recipe. Thank you for sharing. 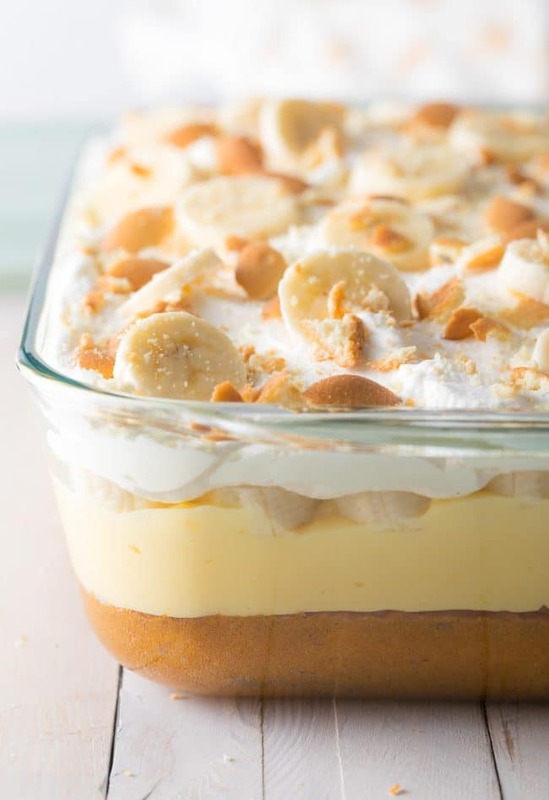 This banana pudding is divine, and I’m totally heading to Walmart to pick up one of those Pyrex deep dish containers ASAP! Made this the other day and it disappeared so fast! The whole family loved it. Everyone raves about this cake every time I make it! My family is begging me to make this again!! YUM! Banana Cake is my favorite recipe in all the world. I can’t wait to try this one. Oh ma goodness this is incredible! Banana lovers dream come true! 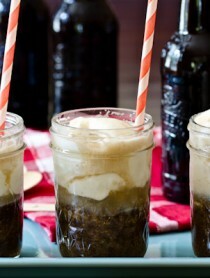 Going to make this for hubby’s birthday! Growing up in Anniston, AL, in the 1950s I have a great fondness for banana pudding. While eating Sunday brunch in a Guntersville, AL, eatery several years ago I found an interesting variation & wonder if you’ve ever heard of it? 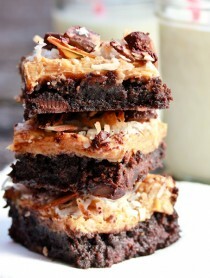 Adding peanut butter to the pudding mix & proceeding w/the recipe in the normal manner – DELICIOUS! Everyone knows how well peanut butter goes w/bananas & this is maybe not such a new idea after all – but it surely is GOOD! To do this, after the pudding is made & ready, add peanut butter to the warm pudding, stirring to mix well, til the pudding is to your level of taste. 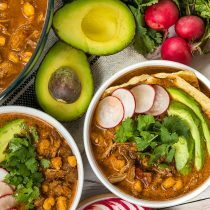 Pure delicious comfort food! Definitely a winner!